Your fireplace looks beautiful and adds warmth to your home, Â but it can also be a serious fire hazard! This winter, protect your home and family as you enjoy your fireplace by following these maintenance tips. As an essential part of your fireplace, your chimney needs a thorough inspection once a year. Hire a professional to look for cracks and other damage, and to clean out any combustible buildup like creosote. Then, secure a spark-arrestor screen to the chimney, which will prevent dangerous sparks from escaping and unwanted animals from entering your home. Before you light a relaxing fire, make sure that you open the flue. Also, start your fire with only approved materials like newspaper and dry logs. Remember, don’t use it to burn leftover holiday gift wrapping or to grill food! Every fireplace needs a safety screen or glass door. It prevents sparks from flying into your home and also discourages your children or pets from reaching into the fireplace. Ensure that the screen is constantly in place and free from any damage. Flammable rugs, draperies, paper and other combustibles have to stay at least three feet away from your fireplace. Otherwise, these combustible materials could cause a fire. Metal tools safely adjust logs and remove ash. Store these tools near your fireplace, but out of your children’s reach. Always supervise your fire! If left unattended, sparks could start a fire in your home or your children or pets could walk into the bright but hot embers. 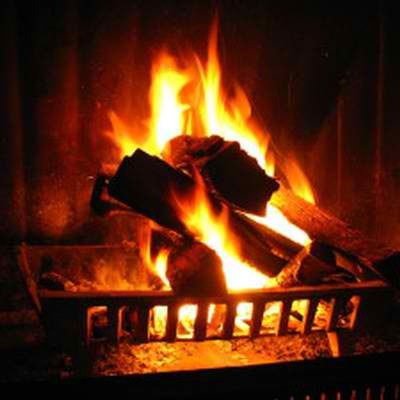 By following these maintenance tips, you’ll safely enjoy your fireplace throughout the cold winter months. Additionally, Â if you have any questions on how to update your home insurance policy in case of an accident, please call Tracy-Driscoll at 860-589-3434.